Now that the frost has descended and advent calendars are beginning to grace the supermarket shelves, it’s time to look south! With the warmth of the sun getting further and further away, long haul is where it’s at. And after flying all that way, why not go one step further and treat yourself to an all inclusive escape? Here at dealchecker we’ve got you covered! 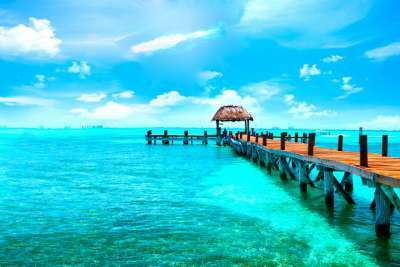 So check out our top 10 long haul all inclusive destinations and get inspired for this winter’s tan. 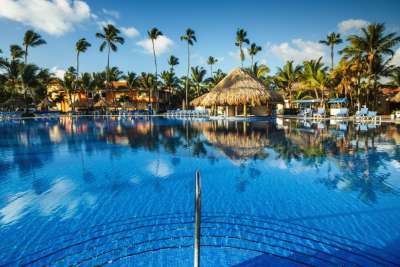 All inclusive resorts line Zona Hotelera (Hotel Zone), where you can bask in the sun by day and throw shapes amongst the buzzing party scene by night. 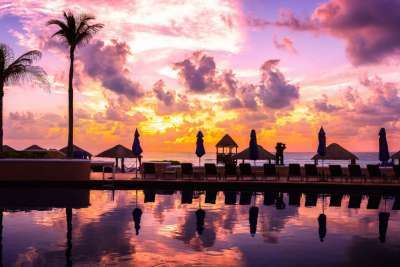 However if it's a more laid-back break you're after then head to Playa Mujeres. The seaside resort is hemmed in by beach on one side and natural wetlands on the other, creating an overall more tranquil atmosphere. Flight times are average at approximately 11 hours, though on landing you'll be setting your watch back six - winning! 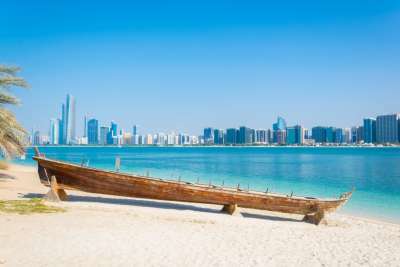 The UAE's capital offers its visitors a great mix of year-round sun, sea, shopping and culture. When booking all inclusive be sure to go for a resort with a private beach so you can make the most of your stay. Head to Marina Malls for a mega shopping experience and to Sheikh Zayed Grand Mosque to explore the vast white structure's grandeur. At around seven hours, flight times to the Gulf aren't too shabby, meaning you can get away with a shorter break if wanted. Whether you want to experience the big city or, if island living is more your thing, Thailand has some great all inclusive hotels. Explore the sprawling metropolis of Bangkok with its mix of temples, nightlife, street markets and high-rises. Alternatively lounge on Phuket on white sands with an umbrella cocktail in hand. 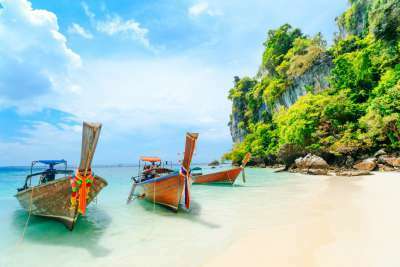 Flight times can creep up to 11 and half hours to Bangkok and 14 and a half to Phuket, so be sure to give yourself at least a week to enjoy the country's many delights. Many traveller's idea of paradise, the Caribbean is full of gems for a relaxed escape. Sip rum cocktails resort side on Barbados, soak up the scent of spices on Grenada, or scuba-dive the reefs of St Lucia. Though all inclusive breaks to the tropical isles will set you back, the gorgeous surroundings more than make up for it! Flight times can vary from nine to 11 hours so take that into account when booking, and more importantly, pack yourself a good book. This coastal Indian state has fast become one of the most popular holiday destinations in the country. It offers tourists a sample of the backpacking lifestyle with all the comfort of all inclusive thrown in. Stay in Calangute, where the long blonde beaches are lined with bars and restaurants and the waters are warm and calm. 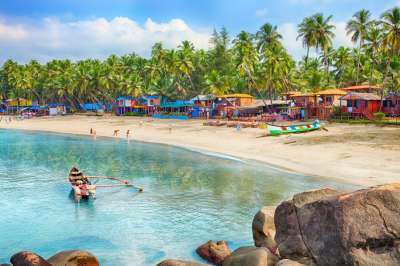 Flights to Goa average about 12 hours so prime that neck cushion and pack those fluffy flight socks. Head east on this tropical island and you'll reach La Costa del Coco, the Coconut Coast. Clear turquoise waters and squeaky white sands stretch for miles here, with luxury all inclusive resorts lining the beaches. Be adventurous with a spot of wind-surfing or fly through the palms on a zip-line. Flights can vary between the 10 and 15 hour mark so be sure to book yourself a nice long break amongst the palms. 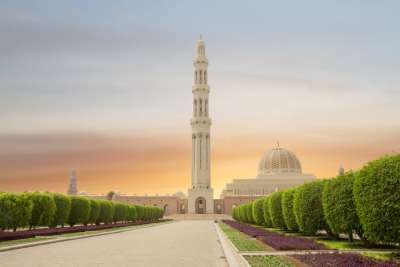 Rivalling Dubai and Abu Dhabi as an alternative Gulf destination, Muscat has a lot to offer the all inclusive crowd. As always the best resorts line the beaches and, as with other Gulf destinations, you'll need to book a hotel that offers private access if you're looking to sunbathe on the sands. When exploring outside of the resort, the city's souks are not to be missed! At around a seven-hour flight time, Muscat is a great destination for those looking to sneak in a cheeky five-day winter break. Straddling the line between luxury all inclusive and backpackers paradise, Sri Lanka makes for a great escape during the cold UK winter months. 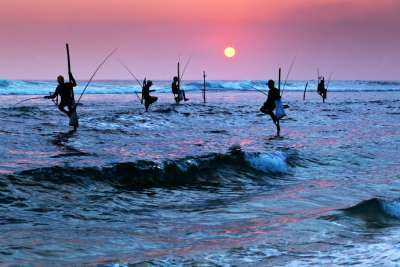 Head for the southern coast town of Koggala, where you can enjoy unspoilt beaches and watch the skilled stilt fishermen drawing in their catch at sunset. Flights can take upwards of 10 and half hours depending on where you're headed so get that plane playlist downloaded in advance and invest in those soundproof headphones. No man is an island but it sure is nice to relax on one occasionally. 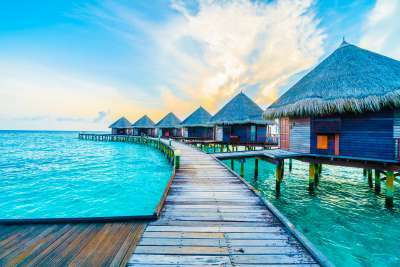 Afloat in the Indian Ocean, this nation of islets can make for a luxurious all inclusive getaway. Resorts will often occupy an entire island leaving very little to worry about other than where to find the best snorkelling spot. The flight time to Hulhule is around 10 and a half hours but remember to book your transfers from there, as you'll most likely be staying off of the main island and may find yourself somewhat stranded. 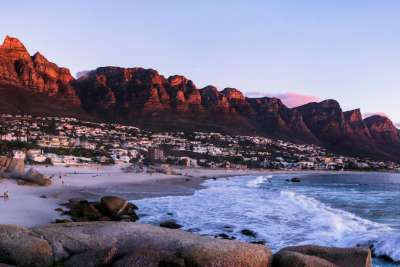 With the stunning backdrop of Table Mountain behind and the glistening ocean at its feet, Cape Town makes for one scenic city. You'll find all inclusive options beachside and inland, with plenty to see outside of the resorts. For the more energetic a hike in the national park provides sweeping views of the city, or a trip to Boulders Beach is a great opportunity to meet the resident penguins! It's around a 12-hour flight, meaning you'll have plenty of time to catch up on last year's movies!